This is a project funded nationally by Léargas as part of the Lifelong Learning Programme of the European Commission Education and Culture DG. The project was coordinated by nearfm and the partners were Radio Vallekas (Madrid, Spain), Radio Kultura (Basque Country), SNRL (France) and Sheffield Live (Sheffield, Britain). Improving school curriculum to support participative learning processes. 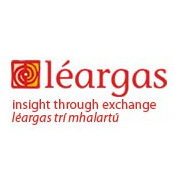 This is a project funded nationally by Léargas as part of the Lifelong Learning Programme of the European Commission Education and Culture DG. This project is coordinated by Antxeta Irratia (Basque Country, France) and the partners are Association Errobi promotions (Basque Country,France), Pausu Media (Basque Country, Spain), Antxeta Irratia (France), Raidio Failte (Belfast), Radio Frö (Austria) and nearfm. Possibilities for European funding for multilingual radio: create an active network of work and projects at European level. Community radios operating in regional or immigration languages have specific problems, the main one being the fact that working in an context where the reduced use of minority languages imposes the use of translation and dubbing techniques to disseminate the content of the interviews represent a significant workload for organisations with limited resources. In addition, digitisation and entry of new technologies has been perceived by community radios as a threat, when it has the potential to become an asset as it offers the possibility of more frequencies, new techniques for automatic translation, more accessible audio dubbing techniques, access to new listeners by using new ICT (iPhone, Android, TV, etc). enhance the role of minority languages in media in the construction of individual and collective awareness of European citizenship, as well as an expression of active citizenship in a democratic setting. knowledge of very different experiences. European Meetings involving all partners. Three has taken place so far in France, Austria and Dublin. Regional/Bilateral meetings: Finally and given the difficulties outlined in section 3.2) these meetings are being developed in two regions. Ireland (Northern Ireland and Republic of Ireland) and Basque Country (France and Spain).